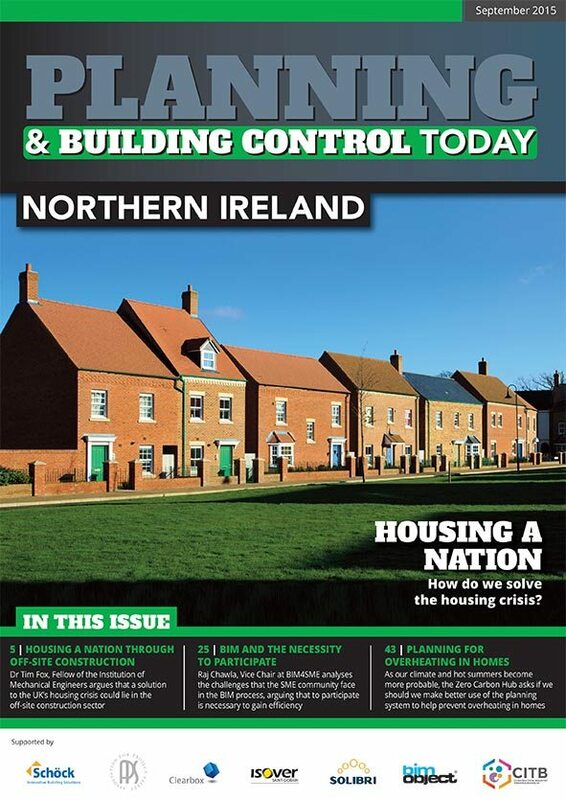 Welcome to the September edition of Planning and Building Control Today – Northern Ireland. be subject to contamination or infrastructure constraints that make them too costly to develop profitably, so where else do we build? Amanda Beresford, Head of Planning at corporate law firm Shulmans provides her thoughts in this edition on how the two objectives of increasing housebuilding and protecting the green belt can be reconciled. She asks whether house building plans will eventually result in development in the green belt. secured!) could lie in the off-site construction sector. He argues that off-site construction technologies have advanced greatly in recent years and can offer shorter build times, better quality, better energy efficiency, less waste and lower costs for buyers. In addition to the above, we have some really interesting articles from experts such as Chris Witte, Vice Chair BIM4M2 who provides a step-by-step guide on how BIM4M2 are helping manufacturers to be fit for purpose on their BIM journey. Raj Chawla, Vice Chair of BIM4SMEs also supplies a piece that analyses the challenges, issues, and benefits that the SME community face in the BIM process, arguing that to participate is necessary to gain efficiency. The Association for Project Safety also contribute an article that defines how the new CDM2015 Regulations apply in both maintenance work and selfbuild projects and Anthony Burd Head of Sector – Construction, and Daniel Mansfield Head of Policy Engagement at BSI discuss Cebr’s research into the economic contribution of standards to the UK economy. Finally, with expected increases in the number of unusually hot summers as the climate changes, more frequent and intense heatwaves, and continuing construction in dense cities, it will be even more important to consider ways to ensure our homes remain at comfortable temperatures all year round. So as our climate and hot summers become more probable, the Zero Carbon Hub ask if we should make better use of planning systems to help prevent overheating in homes.